The Broadmoor shop was the site of a car crash and three-alarm fire on March 20 which caused several fatalities, injuries and extensive property damage. Unity-1 has asked for support and have been raising funds to help them rebuild. According to WDSU, Bronner and Dupart both raised $5,000 each for John and Dr. Beverly Smith, the owners of Unity-1. 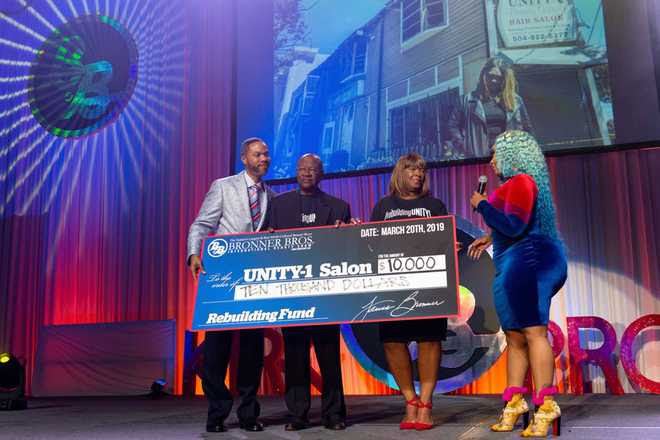 “The Bronner Brothers are a perfect example of what it looks like when community and philanthropy come together,” said the Broadmoor Improvement Association in a newsletter.